Enjoy this sweet bridal shower playlist! Music is a key factor in every successful wedding event, including the bridal shower! Nothing sets the tone for an event more than the perfect bridal shower playlist. Our soundtrack of choice is one that is sure to delight wedding event guests of all ages. Each song on this playlist boasts romantic lyrics alongside cheerful, sweet melodies, creating the perfect background soundtrack and setting the tone for a lovely wedding shower. Enjoy our curated playlist of 30 songs to start off your perfect bridal shower playlist! 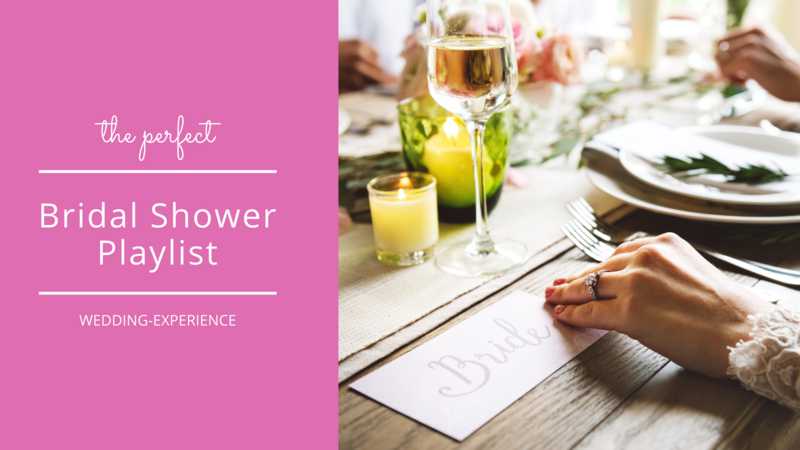 Next, check out our favorite free apps for planning a bridal shower. We love to use Spotify for curating the perfect playlist. What songs are you adding to your bridal shower playlist? Let us know in the comments! Planning a Destination Bachelorette Party + Free Planning Template!